Memorial Day morning in Iosco County we explored the forest around us, and while we were looking for birds mostly in the trees above, it was impossible to ignore the seemingly endless world underfoot. It was also an opportunity to get used to using my relatively new Canon macro 100mm lens. So although this is a bit off topic unless you can hear the mosses singing, I feel compelled to share some of these images with you. 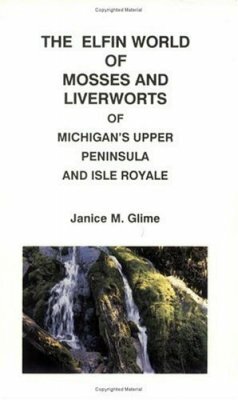 At a loss trying to identify even some of these, I managed to find a book by Janice M. Glime on Amazon that is devoted to mosses and liverworts of Michigan’s Upper Peninsula and Isle Royale; although this is farther north than we were, some of the mosses and lichens were present. It’s a beautiful book and makes me now want to visit the U.P.! 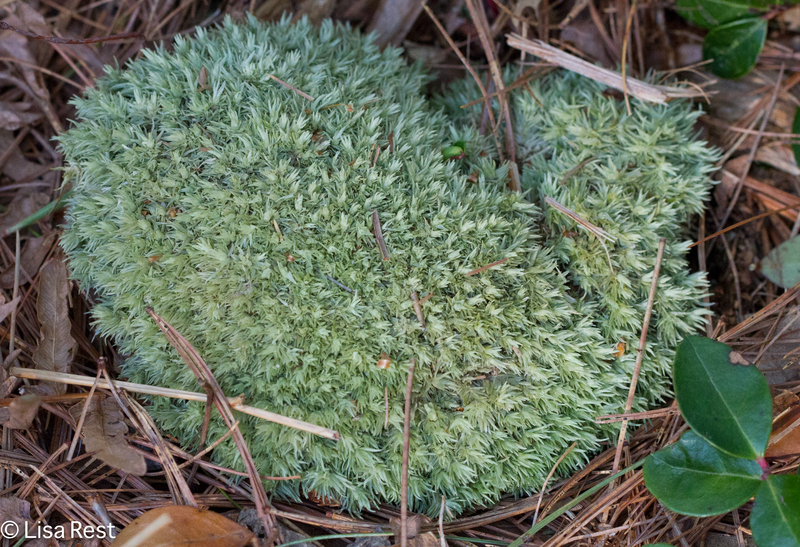 There was a lot of the moss below and I believe it is a Cushion Moss, which describes it perfectly where it occurs. 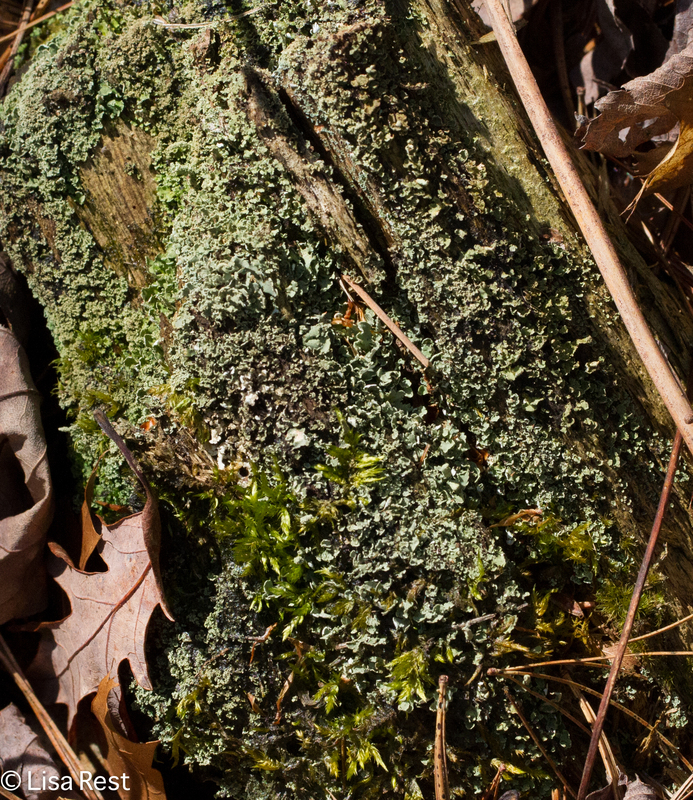 I have no idea what the moss is below, and if you do, please weigh in! Again, the moss below grows like the cushion moss, but I cannot find anything like it with the darker growth emerging out of it. 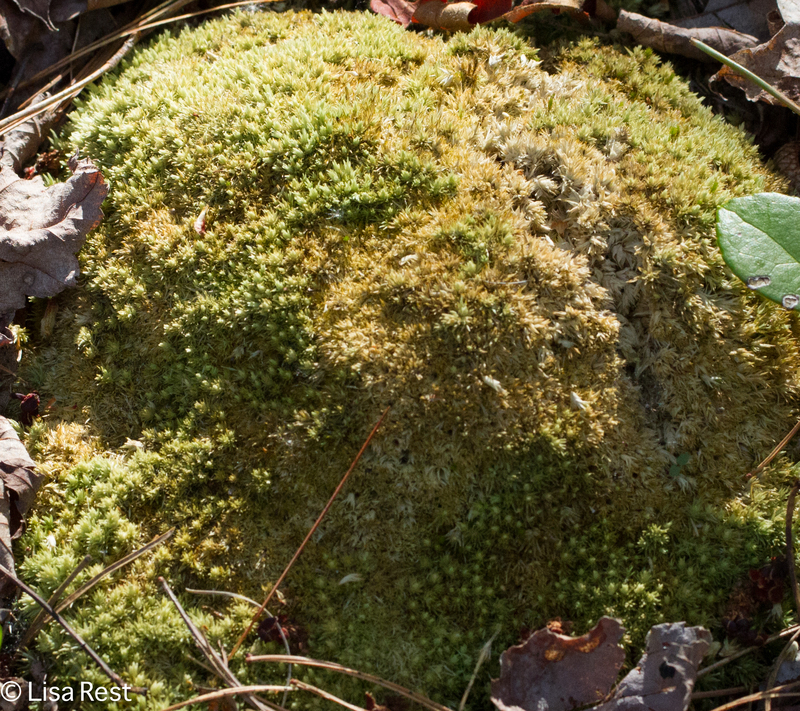 This looks like the cushion moss but now it has little trees growing out of it! 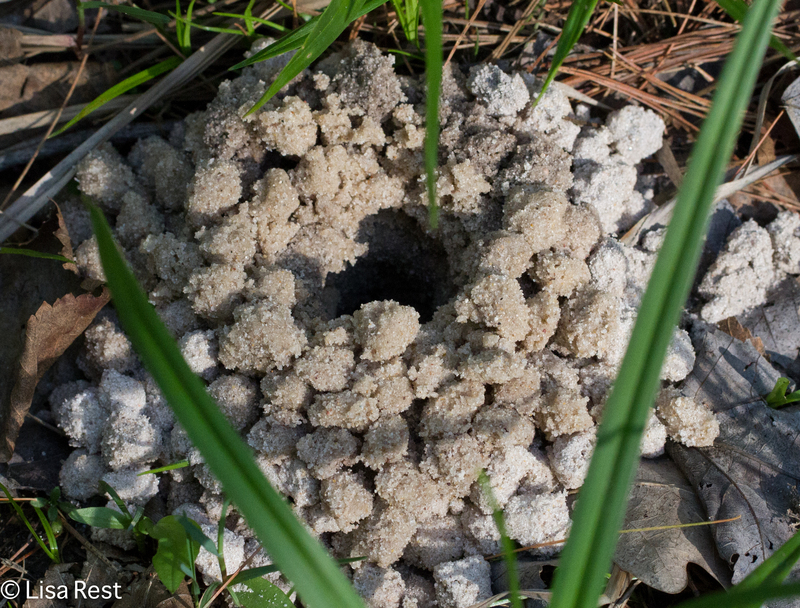 This is sandy soil, and whatever creature calls this home, below, has made a perfect entrance to its hole. This could be an insect nest. If you recognize it please let me know. The leaves on the forest floor had a poetry all their own. The wonder of being in a completely different habitat and ecosystem comes rushing back when I review these photographs. The half-eaten egg below must have belonged to a larger bird. 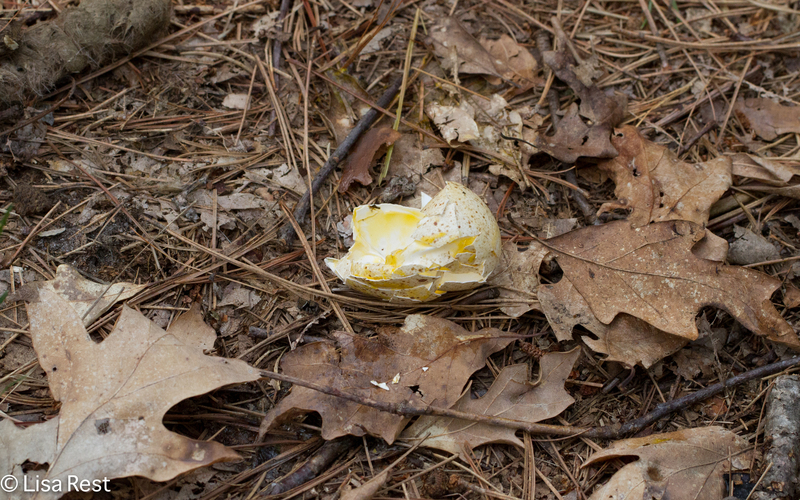 I wonder if it was a Ruffed Grouse egg, as we occasionally heard the males drumming. 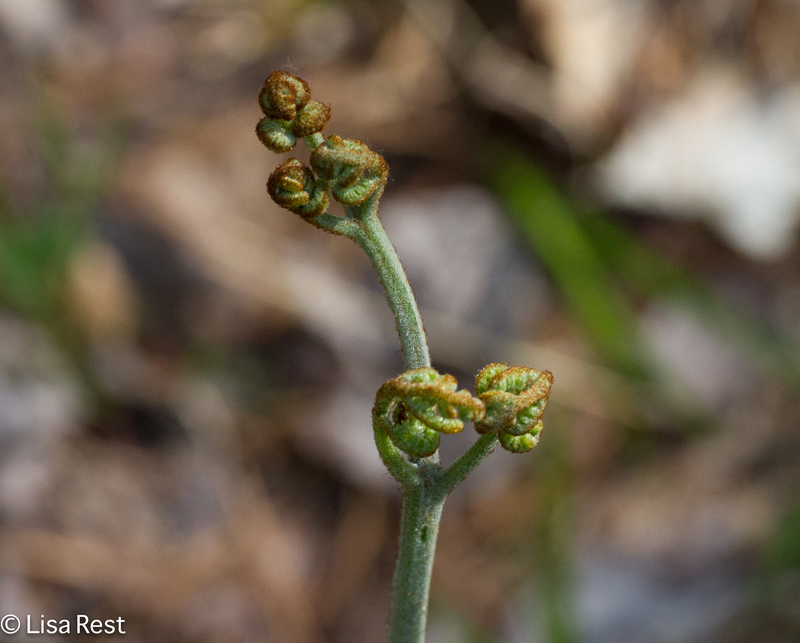 The one thing I definitely recognized on sight: Fiddlehead Fern. And now it’s back to the Summer Solstice in Illinois: we are presently in between thunderstorms. It’s cool when the clouds come over and hot when the sun shines through. Time to go for a swim and see if there are any Cedar Waxwings eating the now-ripe Serviceberries outside the entrance to the gym. 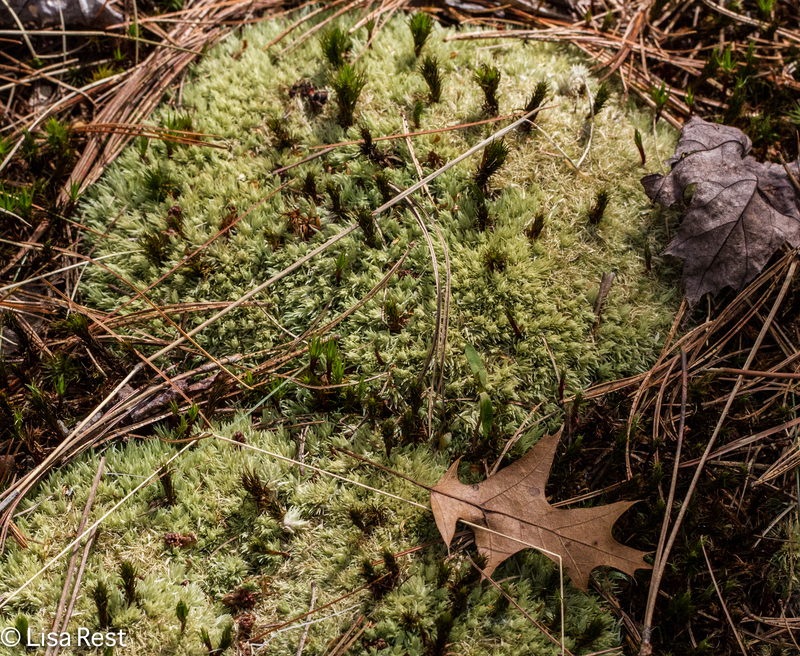 This entry was posted in photography and tagged Cushion Moss, eggshell identification, Fiddlehead Fern, forest floor, Four Tooth Moss, ground nesting insects, Iosco County, Janice M. Glime, lichens, liverworts, Michigan, mosses, Wrinkled Shield Lichen by Lisa Rest. Bookmark the permalink. Interesting pictures. I can’t help on the moss ID even though I have got a good moss and fern book. I have found that it is not enough to have the book. You have to read it too. Very true, and when I started reading I realized I should have been paying much more attention to exactly where these things were growing which would have helped to figure them out. I’m sure there are plenty of people who could have ignored the gorund level view. I’m glad you caught it. 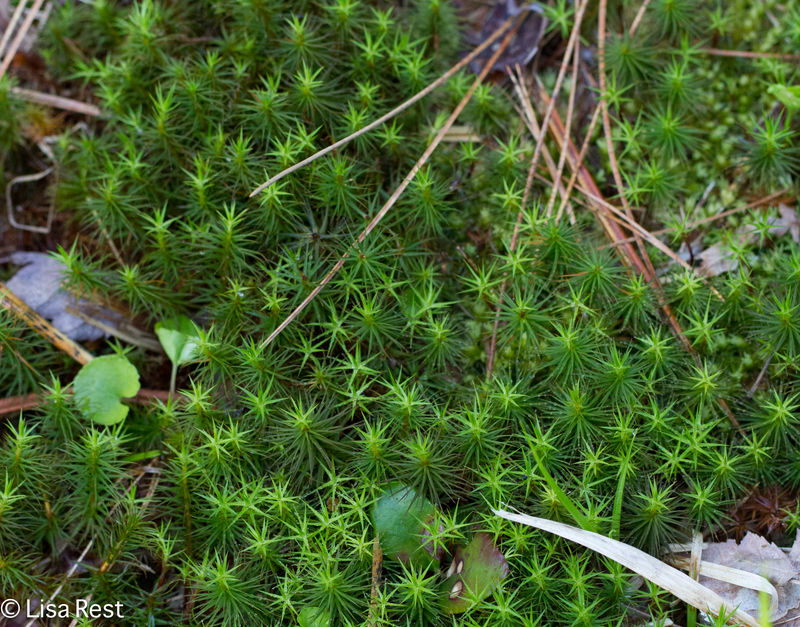 I always call all of those tree mosses haircap moss. I have no idea how accurate this is, but it works for me! Nice macro pics! I remember going to the UP when the kids were little and making terrariums with all the mosses. Thanks, Jason! The mosses would make great terrariums, that’s so cool. They just look like complete little worlds of their own to me. 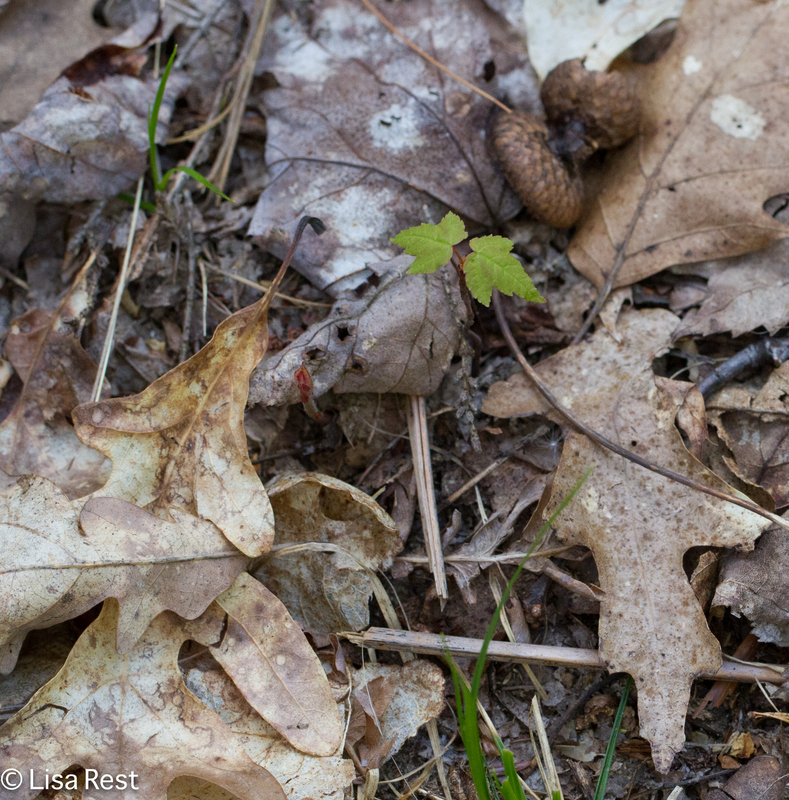 Those little trees are indeed a species of Polytrichum (hairy cap moss), probably Polytrichum ohioense. the “trees” coming out of the cushion moss are also a species of Polytrichum. I’m glad the book was helpful!